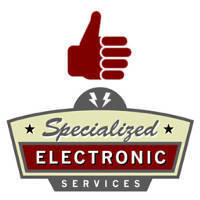 Specialized Electronic Services sells and repairs most vfd’s and related equipment. The variable frequency drive you are looking for could possibly be replaced with a higher quality more economical model, call us for details on purchasing a variable speed drive that fits your needs. VFDs are used in applications ranging from small appliances to the largest of mine mill drives and compressors. However, around 25% of the world’s electrical energy is consumed by electric motors in industrial applications, which are especially conducive for energy savings using VFDs in centrifugal load service, and VFDs’ global market penetration for all applications is still relatively small. That lack of penetration highlights significant energy efficiency improvement opportunities for retrofitted and new VFD installations. VFDs are available in a number of different low- and medium-voltage AC-AC and DC-AC topologies. The AC electric motor used in a VFD system is usually a three-phase induction motor. Some types of single-phase motors can be used, but three-phase motors are usually preferred. Various types of synchronous motors offer advantages in some situations, but three-phase induction motors are suitable for most purposes and are generally the most economical motor choice. Motors that are designed for fixed-speed operation are often used. Elevated-voltage stresses imposed on induction motors that are supplied by VFDs require that such motors be designed for definite-purpose inverter-fed duty in accordance with such requirements as Part 31 of NEMA Standard MG-1. The VFD controller is a solid-state power electronics conversion system consisting of three distinct sub-systems: a rectifier bridge converter, a direct current (DC) link, and an inverter. Voltage-source inverter (VSI) drives (see ‘Generic topologies’ sub-section below) are by far the most common type of drives. Most drives are AC-AC drives in that they convert AC line input to AC inverter output. However, in some applications such as common DC bus or solar applications, drives are configured as DC-AC drives. The most basic rectifier converter for the VSI drive is configured as a three-phase, six-pulse, full-wave diode bridge. In a VSI drive, the DC link consists of a capacitor which smooths out the converter’s DC output ripple and provides a stiff input to the inverter. This filtered DC voltage is converted to quasi-sinusoidal AC voltage output using the inverter’s active switching elements. VSI drives provide higher power factor and lower harmonic distortion than phase-controlled current-source inverter (CSI) and load-commutated inverter (LCI) drives (see ‘Generic topologies’ sub-section below). The drive controller can also be configured as a phase converter having single-phase converter input and three-phase inverter output. Controller advances have exploited dramatic increases in the voltage and current ratings and switching frequency of solid-state power devices over the past six decades. Introduced in 1983, the insulated-gate bipolar transistor (IGBT) has in the past two decades come to dominate VFDs as an inverter switching device. In variable-torque applications suited for Volts-per-Hertz (V/Hz) drive control, AC motor characteristics require that the voltage magnitude of the inverter’s output to the motor be adjusted to match the required load torque in a linear V/Hz relationship. For example, for 460 V, 60 Hz motors, this linear V/Hz relationship is 460/60 = 7.67 V/Hz. While suitable in wide-ranging applications, V/Hz control is sub-optimal in high-performance applications involving low speed or demanding, dynamic speed regulation, positioning, and reversing load requirements. Some V/Hz control drives can also operate in quadratic V/Hz mode or can even be programmed to suit special multi-point V/Hz paths. The two other drive control platforms, vector control and direct torque control (DTC), adjust the motor voltage magnitude, angle from reference, and frequency so as to precisely control the motor’s magnetic flux and mechanical torque. Although space vector pulse-width modulation (SVPWM) is becoming increasingly popular, sinusoidal PWM (SPWM) is the most straightforward method used to vary drives’ motor voltage (or current) and frequency. With SPWM control (see Fig. 1), quasi-sinusoidal, variable-pulse-width output is constructed from intersections of a saw-toothed carrier frequency signal with a modulating sinusoidal signal which is variable in operating frequency as well as in voltage (or current). Operation of the motors above rated nameplate speed (base speed) is possible, but is limited to conditions that do not require more power than the nameplate rating of the motor. This is sometimes called “field weakening” and, for AC motors, means operating at less than rated V/Hz and above rated nameplate speed. Permanent magnet synchronous motors have quite limited field-weakening speed range due to the constant magnet flux linkage. Wound-rotor synchronous motors and induction motors have much wider speed range. For example, a 100 HP, 460 V, 60 Hz, 1775 RPM (4-pole) induction motor supplied with 460 V, 75 Hz (6.134 V/Hz), would be limited to 60/75 = 80% torque at 125% speed (2218.75 RPM) = 100% power. At higher speeds, the induction motor torque has to be limited further due to the lowering of the breakaway torque[a] of the motor. Thus, rated power can be typically produced only up to 130-150% of the rated nameplate speed. Wound-rotor synchronous motors can be run at even higher speeds. In rolling mill drives, often 200-300% of the base speed is used. The mechanical strength of the rotor limits the maximum speed of the motor. An embedded microprocessor governs the overall operation of the VFD controller. Basic programming of the microprocessor is provided as user-inaccessible firmware. User programming of display, variable, and function block parameters is provided to control, protect, and monitor the VFD, motor, and driven equipment. Connected downstream of inverter — output reactor, sine wave filter, dV/dt filter. The operator interface provides a means for an operator to start and stop the motor and adjust the operating speed. Additional operator control functions might include reversing, and switching between manual speed adjustment and automatic control from an external process control signal. The operator interface often includes an alphanumeric display and/or indication lights and meters to provide information about the operation of the drive. An operator interface keypad and display unit is often provided on the front of the VFD controller as shown in the photograph above. The keypad display can often be cable-connected and mounted a short distance from the VFD controller. Most are also provided with input and output (I/O) terminals for connecting push buttons, switches, and other operator interface devices or control signals. A serial communications port is also often available to allow the VFD to be configured, adjusted, monitored, and controlled using a computer. Quadrant IV – Generating or braking, reverse braking-decelerating quadrant with negative speed and positive torque. Most applications involve single-quadrant loads operating in quadrant I, such as in variable-torque (e.g. centrifugal pumps or fans) and certain constant-torque (e.g. extruders) loads. Certain applications involve two-quadrant loads operating in quadrant I and II where the speed is positive but the torque changes polarity as in case of a fan decelerating faster than natural mechanical losses. Some sources define two-quadrant drives as loads operating in quadrants I and III where the speed and torque is same (positive or negative) polarity in both directions. Certain high-performance applications involve four-quadrant loads (Quadrants I to IV) where the speed and torque can be in any direction such as in hoists, elevators, and hilly conveyors. Regeneration can occur only in the drive’s DC link bus when inverter voltage is smaller in magnitude than the motor back-EMF and inverter voltage and back-EMF are the same polarity. In starting a motor, a VFD initially applies a low frequency and voltage, thus avoiding high inrush current associated with direct-on-line starting. After the start of the VFD, the applied frequency and voltage are increased at a controlled rate or ramped up to accelerate the load. This starting method typically allows a motor to develop 150% of its rated torque while the VFD is drawing less than 50% of its rated current from the mains in the low-speed range. A VFD can be adjusted to produce a steady 150% starting torque from standstill right up to full speed. However, motor cooling deteriorates and can result in overheating as speed decreases such that prolonged low-speed operation with significant torque is not usually possible without separately motorized fan ventilation. Specialized Electronic Services sells and repairs most vfd Drives including siemens vfd, square d vfd, abb drives, allen bradley vfd, and many others.